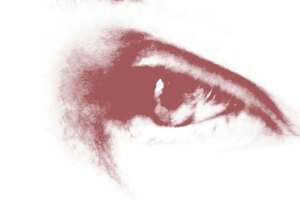 The vertical lines or wrinkles that occur between your nose and upper lip can mar your facial appearance. 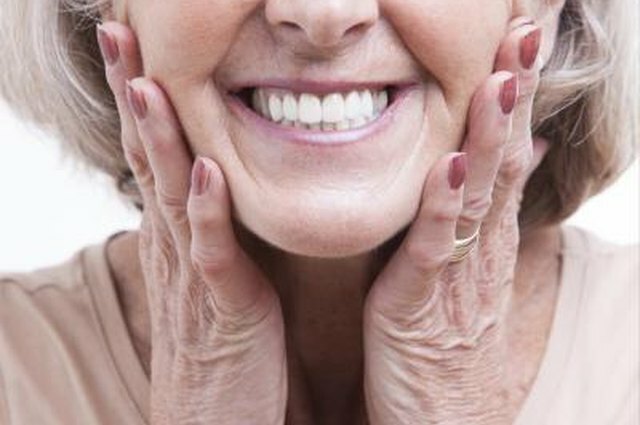 Though wrinkling is a normal part of aging, certain environmental and lifestyle factors such as excessive sun exposure and smoking can speed up the wrinkling process between your nose and lip. Integrate lifestyle changes and natural and cosmetic treatments to minimize the appearance of creases and lines between your nose and lip. 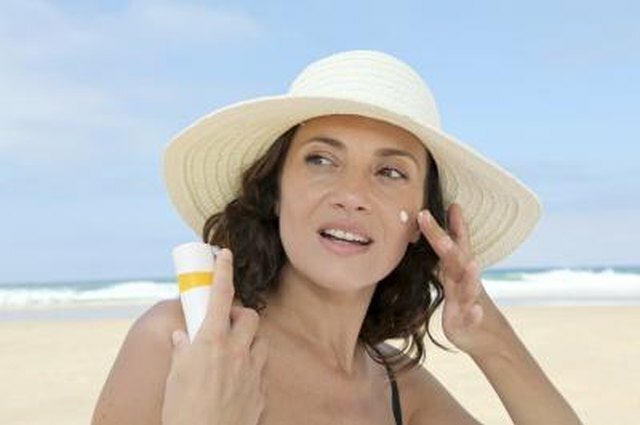 Wear a sunscreen moisturizer with a minimum sun protection factor (SPF) of 15 whenever you step out in the sun. Avoid unnecessary sun exposure to prevent the formation of wrinkles. 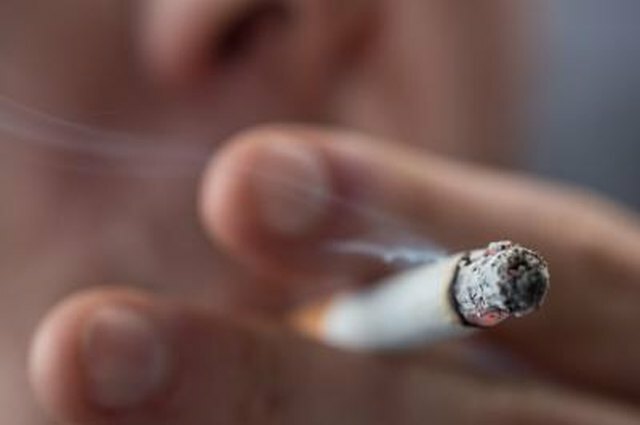 Stop smoking, as it is the main cause of wrinkles in the nose and lip area. Smoking causes “smoker’s lines” and extensively damages the skin by restricting blood flow and promoting wrinkles. Perform the upper lip "fish pout" exercise. Curl your upper lip up and hold. Position your index fingers in the center of the upper lip and slowly move them to the corners of your mouth without relaxing the lip curl. Revert back to normal lip position and repeat the "fish pout" exercise for a total count of six. Use antiwrinkle creams that contain retinol, hydroxy acids, coenzyme Q10, copper peptides and tea extracts as ingredients. These ingredients contain antioxidant and anti-inflammatory properties that retain moisture, stimulate collagen and protect the skin from environmental damage. 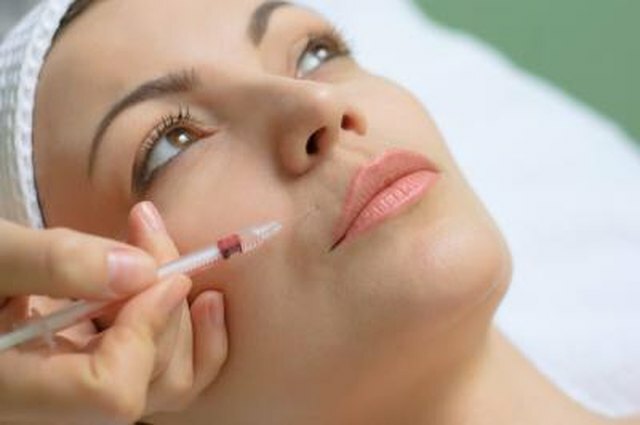 Consult your dermatologist about Botox and dermal filler treatments. Botox and dermal filler injections plump up creased skin and even out wrinkles to give a smoother appearance. 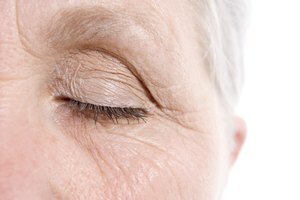 The effects of these antiwrinkle treatments are short-term, lasting between six and nine months. 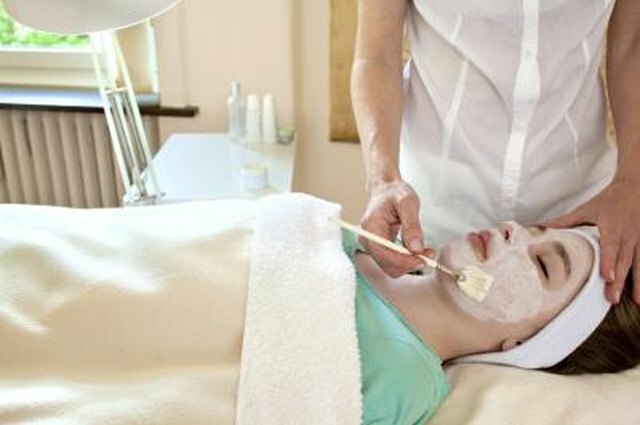 Speak to your dermatologist about chemical peels, dermabrasion and nonablative laser treatment. These noninvasive procedures smooth out wrinkles and stimulate the production of collagen and healthy skin. When sleeping, do not lie on your stomach, as this sleeping posture can cause the skin between your nose and lip to wrinkle. Losing weight on a quick weight-loss program or the loss of a tooth can highlight wrinkles around the nose and lip area.